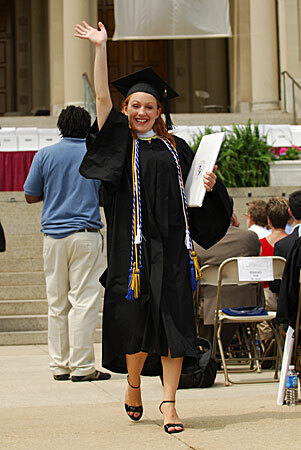 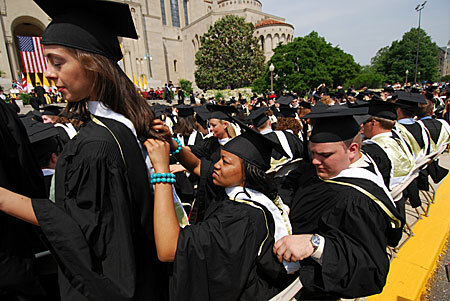 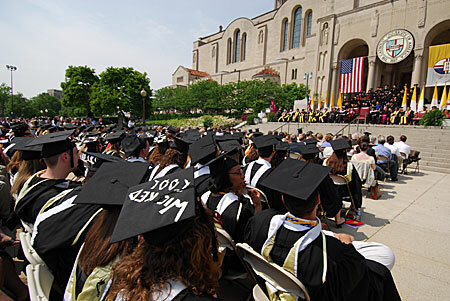 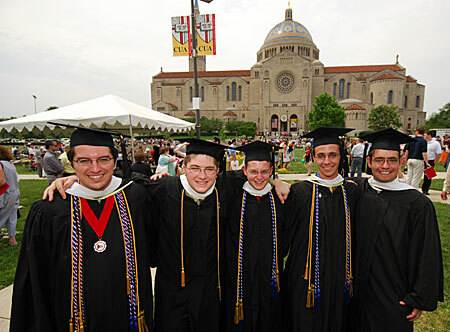 More than 900 graduates received bachelor's, master's or doctoral degrees at the university's 118th Annual Commencement, held May 12 on the steps of the Basilica of the National Shrine of the Immaculate Conception. 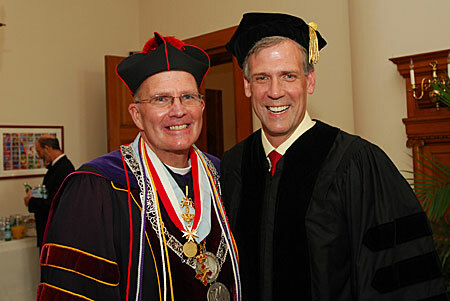 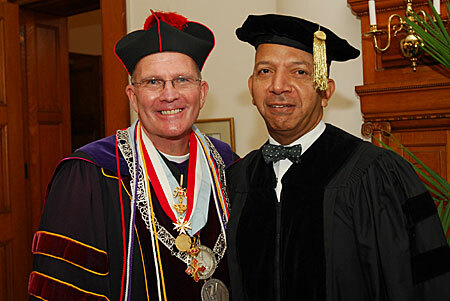 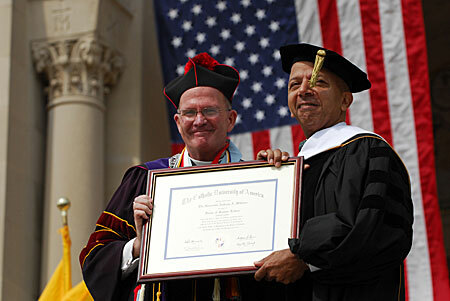 White House Press Secretary Tony Snow gave the commencement address, and honorary doctoral degrees were presented to both Snow and former Washington, D.C., Mayor Anthony Williams. 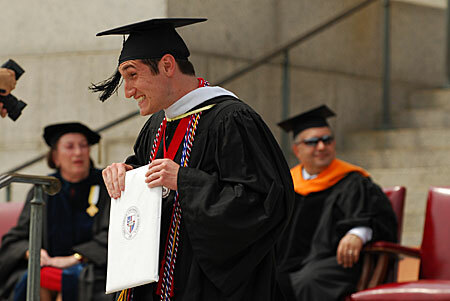 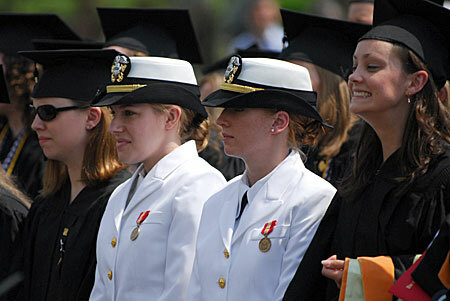 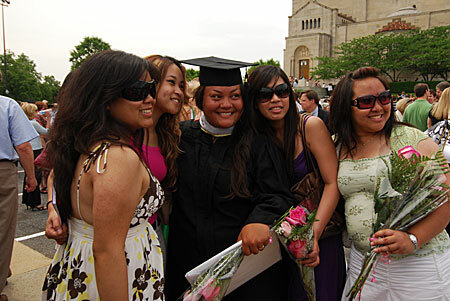 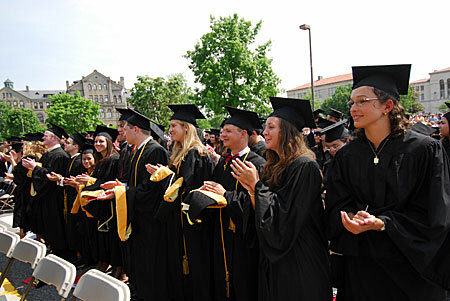 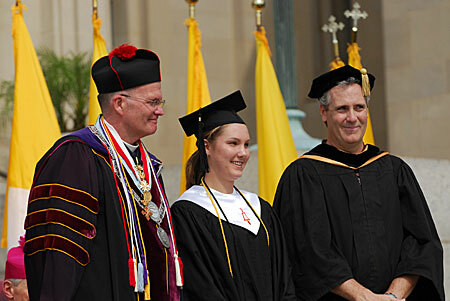 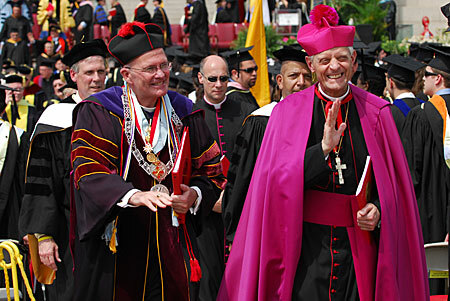 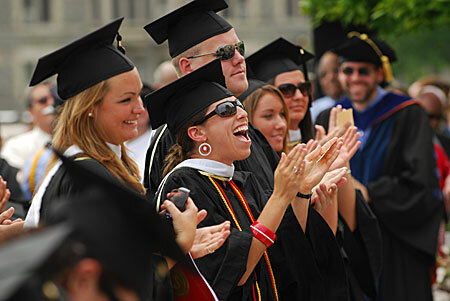 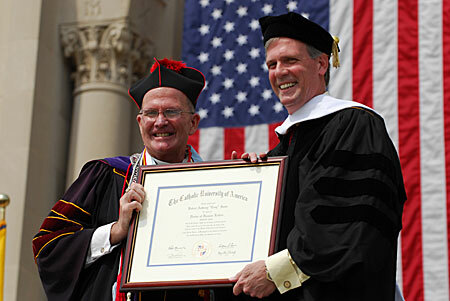 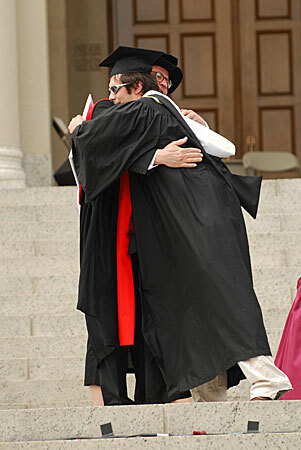 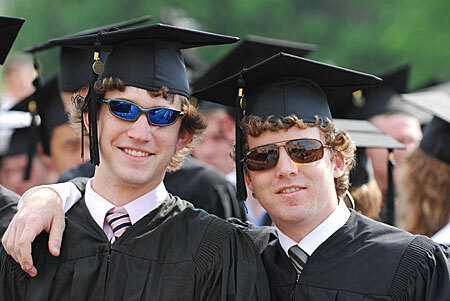 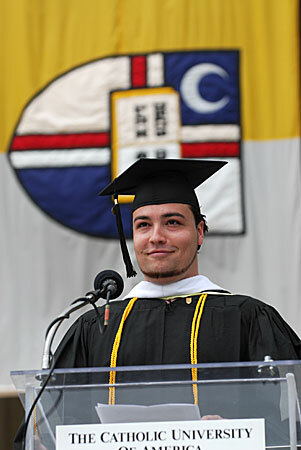 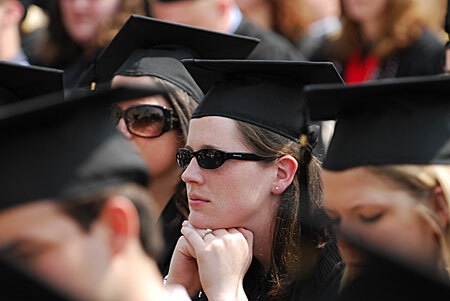 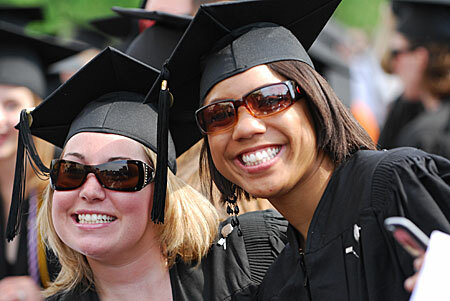 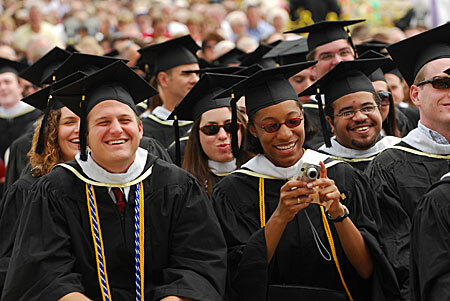 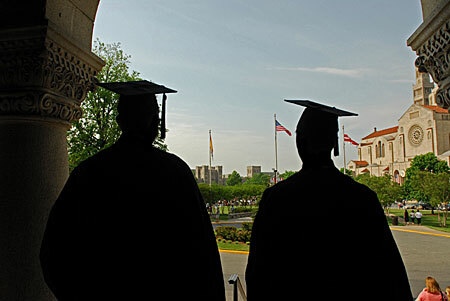 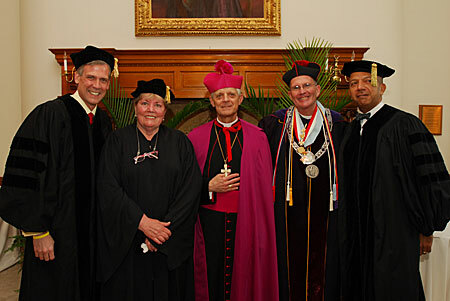 To read more about the commencement ceremonies, visit: http://publicaffairs.cua.edu/Releases/2007//07DayofCommencement.cfm.